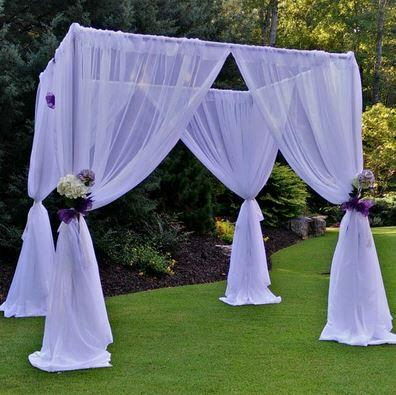 Create an 8' high fabric canopy 6' to 10' square using 4 - 8' uprights, 4 - horizontal bars and sheer white voile fabric. Horizontal bars adjust from 6' to 10'. Easy to assemble. Installation is available for an additional charge. * Please call us with any questions you may have about our pipe drape fabric canopy rentals/sales in State College, serving Central Pennsylvania.